Sorry about the delay in posting this. It has been more than a month since I posted, real life has been catching up to me and I have simply not had the time to reshoot a bunch of pictures as most of the original pictures I took did not turn out well. Also, I have had another outbreak of painful tendonitis in both arms, so I have had to stay away from computers and lifting heavy stuff (such as a paint brush) for some weeks. 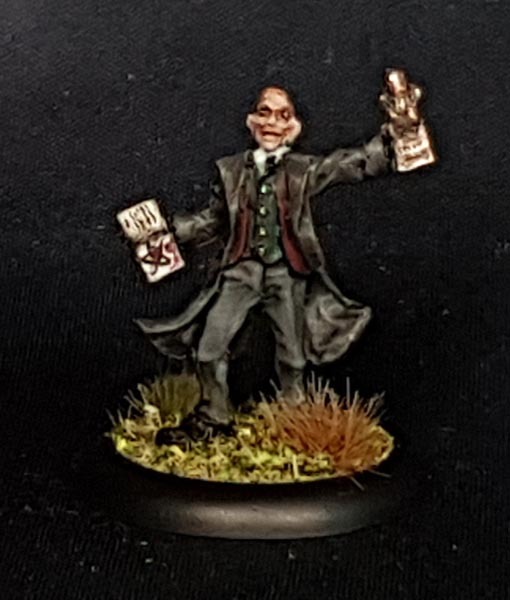 The lead up to the sixth round of the Lead Painters League was a bit of a time-crunch for me. 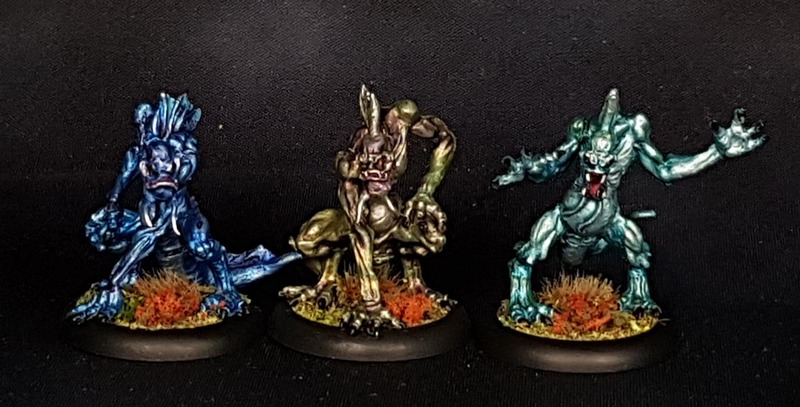 I had originally intended the Deep Ones to have several colours like real fish, but ended up with a single main colour each and some barely visible stripes and spots. 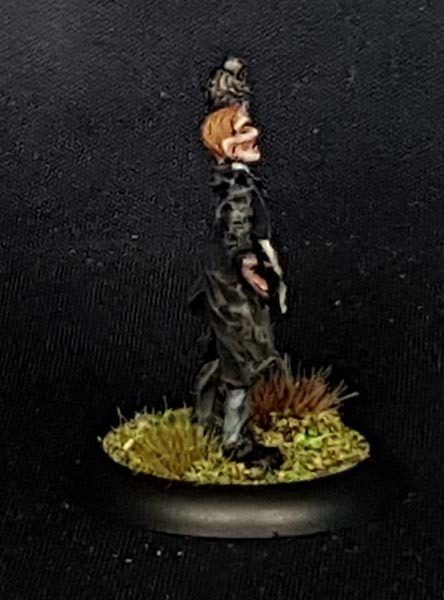 I barely finished the minis in time, and had to cut some corners to get them done as it was. 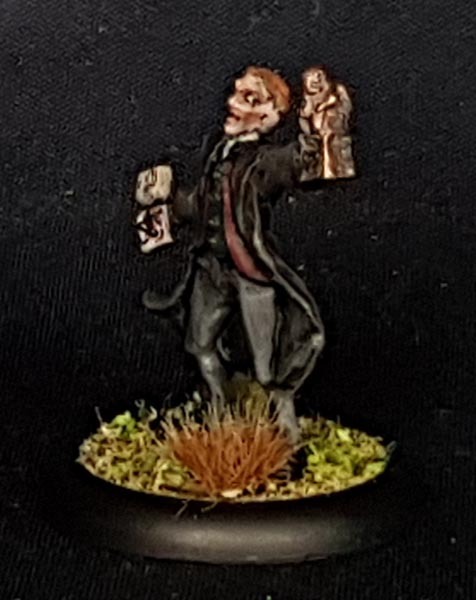 H P Lovecraft himself, by Bear’s Head Miniatures. 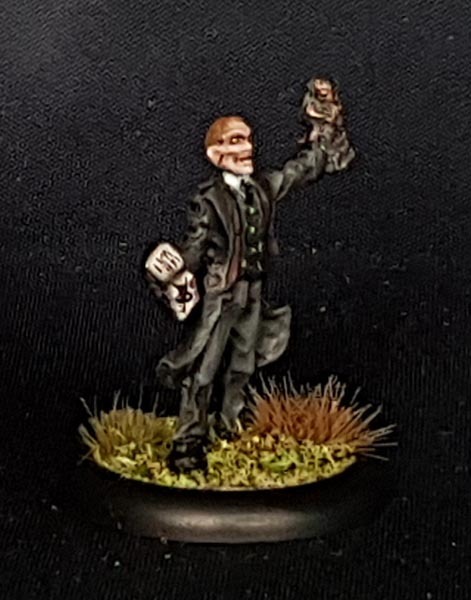 Bear’s Head miniatures is a small one man company run by the sculptor Philip Hynes. 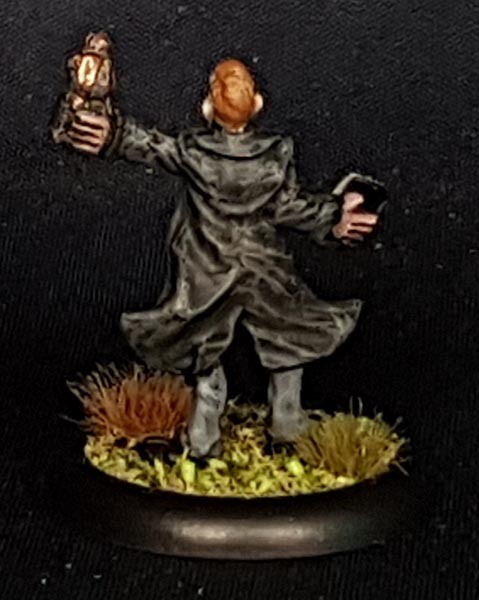 This mini is from the “Gallery Series” kickstarter where I pledged for a few of the character minis, including minis looking suspisciouly like Tolkien, Peter Cushing as Dr Frankenstein and Edgar Allen Poe. 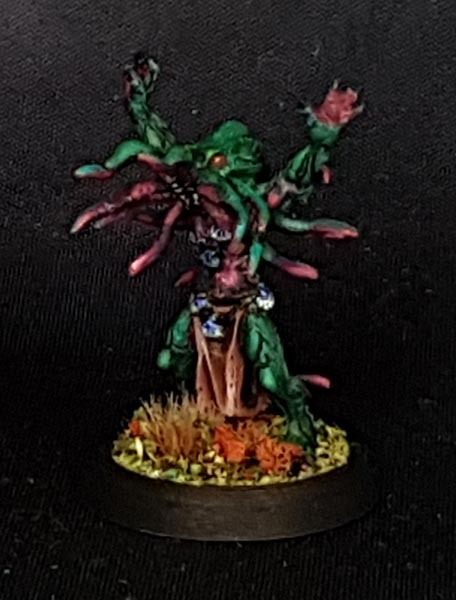 This is the first of them I have painted. For some reason, it seems impossible for me to take a sharp picture of his front, no matter the background used. 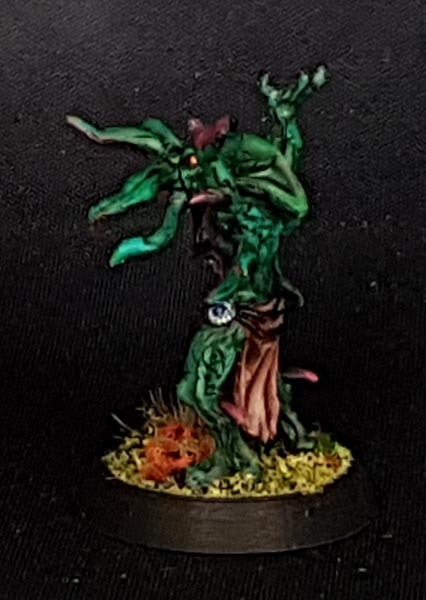 I bought this resin mini second hand from the Lead Adventure trade forum together with some other Mantic minis. 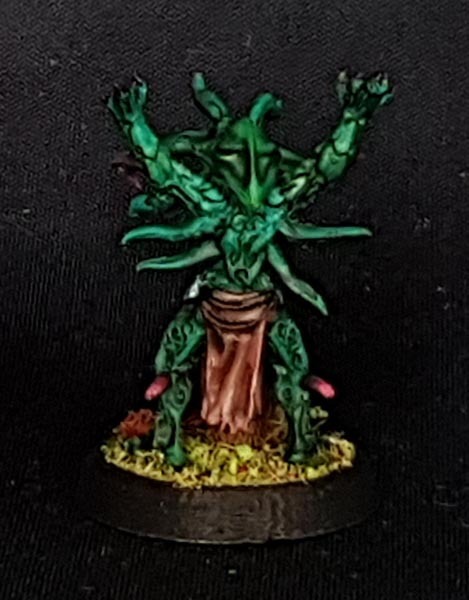 It arrived somewhat worse for wear, with ALL the facial tentacles snapped off. ARGH! I have a good impression of the resin material Mantic uses since they started casting themselves. 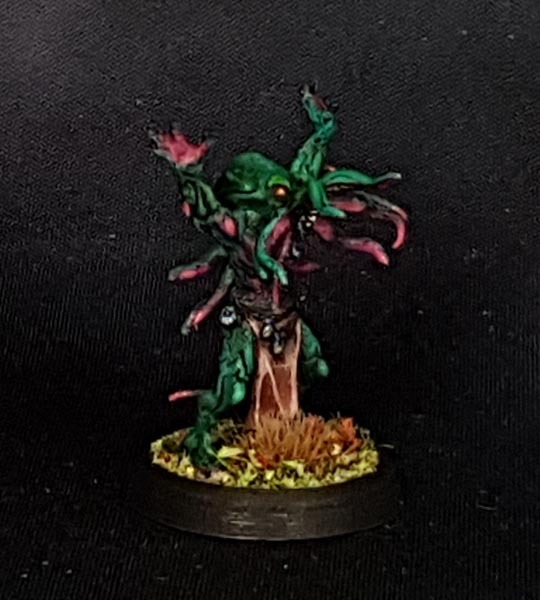 At any rate, I think the mini turned out well in the end. 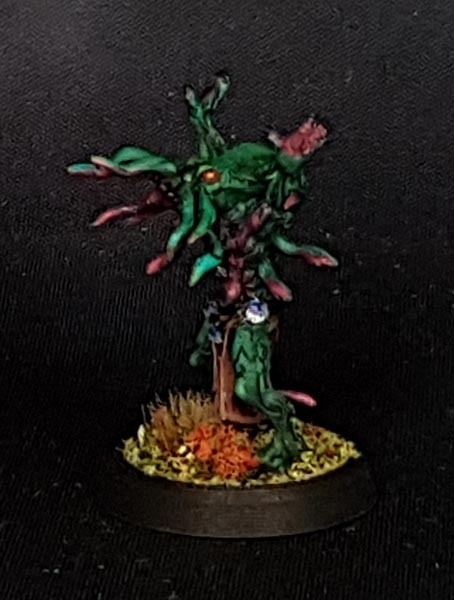 I chose a classic Cthulhu colour scheme to reinforce the Mythos-theme. 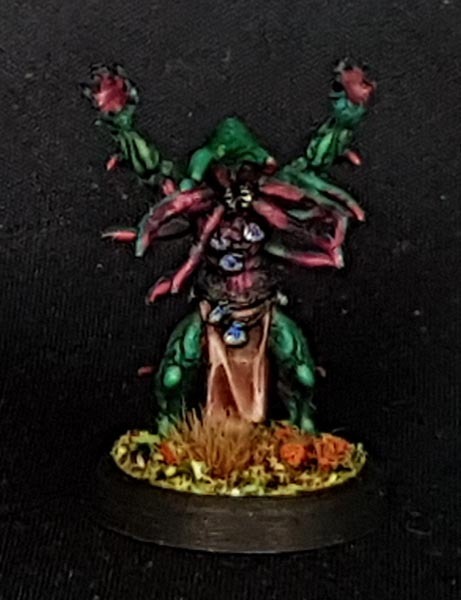 Resin model, 3D printed 25mm base. 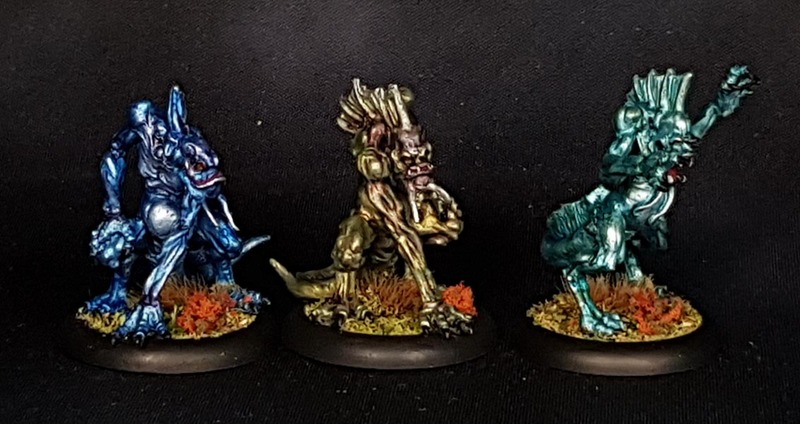 The Deep Ones are actually first edition Malifaux Silurians in metal that were part of one of the first trades I made some time ago when I first discovered the Lead Adventure forum. 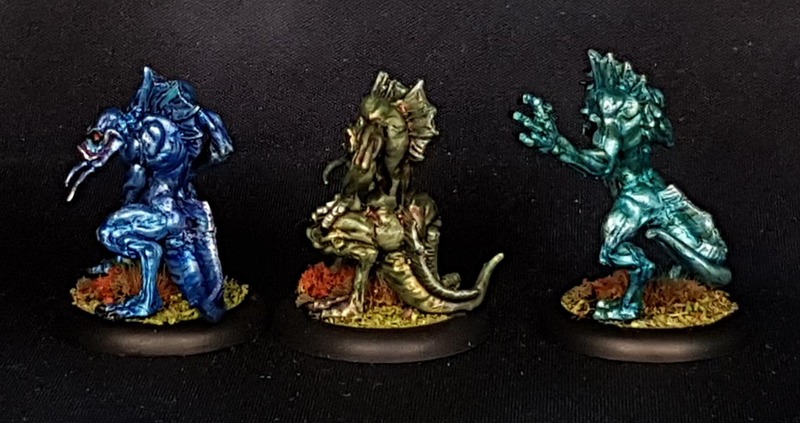 Really characterful fishmen, but fiddly to assemble, being metal and all. 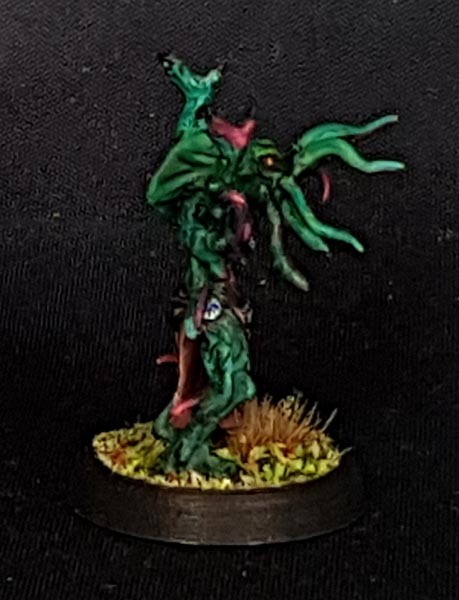 Made in metal, 30mm bases. Even losing the round, round 6 ended with me in 4th place on the leaderboard and moving on into round 7, the first knockout round.